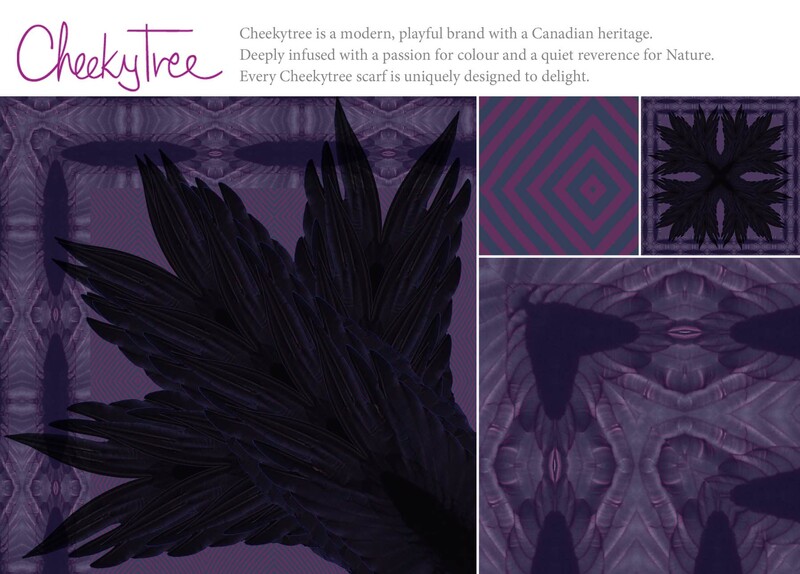 This entry was posted in art, fashion and tagged Canadian, designed in Toronto, feathers, limited edition, Made in USA, purple, scarves, textile design by Lila Cheekytree. Bookmark the permalink. WOW..it’s just beautiful. Life on the fly!!! Today it’s Victoria…tomorrow the world!! Thanks Diana. Have fun on your trip! Another beauty! Continue with more beautiful work. I can hardly wait until your next project arrives. Thanks Marilyn. Two new arrivals were just delivered today. It’s so exciting to see how the designs drape. Wing It creates the most beautiful feather-frame around the neck when worn. Each scarf is so beautiful and vibrant, how can you ever decide which one you love the most? Such a talent you are. Thanks so much Marilyn. I love them all, but I always seem to love the latest one I’m working on the most. Ohhhhh, such deep, rich & yummy colours! Thanks Judy. It’s hard to see the variety of colour on screen – but Wing It ranges from a light lavender to the darkest violet (almost black). Actually, I want THIS one!!! It’s gorgeous and I want one too! Amazing colours Lila. It looks like stormy skies, and the raven wing just works. Perfect for a moody fall day. My kinda thing exactly! Beautiful! Absolutely gorgeous work. Your designs are so unique. How do I order a Wing It scarf? I want one! So pretty!!! Thanks Lisa! If you’d like to order a scarf, please send me an email using the Contact page and I’ll send you details (price, ordering info) etc.